Jonah is a shaman with an addiction to alcohol and debt owed to some very bad people, which is why he accepts a job to obtain a powerful runestone even though he knows the job is probably going to be bad news. But as he gets further entangled in this job and with the Carver brothers, things go from bad to worse, and he'll have to think on his feet if he wants to keep himself and those he cares about alive. 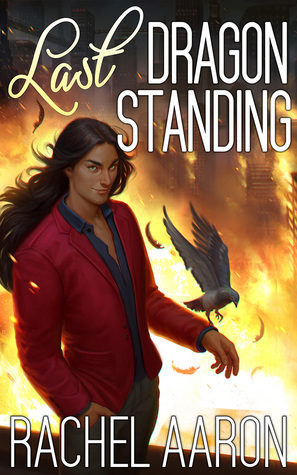 I’ve been picky about what new snarky, action-packed type of urban fantasy books I’ll read ever since I got kind of burnt out on those, but I’m glad I decided to try this one since it ended up being great, and now I have a new series to look forward to continuing! – I knew from the very first page that this was gonna be my kinda book. The main character, Jonah, was a mess. He had a serious drinking problem. He conned people with fake seances and other similar services. He even stole things from the houses of the people who hired him. He was completely unlikeable, and yet, that was exactly what made him likeable because I happen to love seriously flawed characters when they’re written well, which he was (his voice was well-written too). And then he’d go and do something nice or I’d find out about something good he did, and gah, I just couldn’t help but root for the guy. I mean, I still didn’t really like him as a person because he was still a jerk sometimes, but when he made bad decisions or reached for a bottle, more than anything, I felt sympathy for him, for the things that led to him being in such a bad place. And I felt terrible about all the beatings he got throughout the book because he definitely did not deserve that. – Jonah’s alcoholism was a topic that was handled well. It wasn’t just glossed over; it caused him to make bad decisions, it took a toll on his body, and people were worried about him and wanted him to get help. – Jonah’s physical disability was handled well too. He had a bad leg from a broken femur and used a cane, and it obviously didn’t stop him from doing things, but it was a part of him, sometimes causing him pain, sometimes causing him to have trouble balancing, sometimes making things more difficult, etc. – In fact, all the serious things were handled well. There was something that happened about halfway through the book that was… really bad. Intense. I almost felt like crying while I was reading it because it was written in a way that made me feel the gravity of the situation and made me feel horrible for Jonah. And then when more bad things happened, they were given the gravity they deserved too. – This book was also funny at times because Jonah was somewhat sarcastic and snarky. Sometimes it was mean, but sometimes it was just funny without being mean. – There was a touching family element. Jonah’s father was not perfect, but he loved Jonah and was worried about him and would do anything to help him. I actually shed a tear after the intense thing when things got all emotional during a father-son moment. I also teared up again when I read the very last line because of more father-son feels. – I think this was the first time I had ever read about a main character who was a shaman, and I don’t know much about shamans, so I can’t say much about how that was portrayed, but I liked the explanations we got for the magical/spiritual things and thought it was all really interesting, especially the stuff about how belief and religion can create or alter or give power to things. – I was a little confused at the end. I’m not sure exactly what happened, and then Jonah had a conversation that supposedly revealed some things to him, but it just kinda lost me. I still don’t understand what part all the characters played. Maybe this will be cleared up in the next book since there’s clearly an overarching plot in addition to the individual book plot. – Jonah sometimes made bad decisions due to his alcoholism and his life, and that I had no problem with, but his complete lack of plan sometimes didn’t really make sense. – This book had some pretty graphic violence. – A potential future romance was hinted at since Jonah was interested in someone, but this book didn’t have any romance. 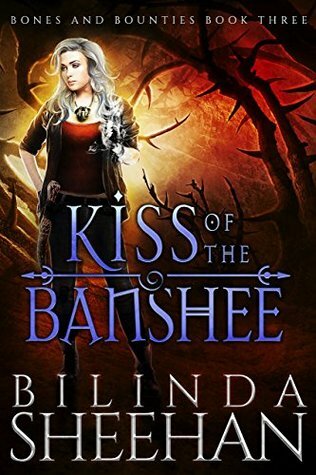 So overall, this was a great start to a new urban fantasy series that managed to stand out in a genre that has felt repetitive to me lately, the protagonist was flawed but well-written, and the story was intense! Anyone who likes urban fantasy, seriously flawed characters, father-son relationships, and interesting supernatural stuff. Have you read The Ledberg Runestone by Patrick Donovan? Do you ever like characters because of how unlikeable they are? I’m in! I loooove good male characters like this in UF. Adding it now! Which reminds me … You HAVE to read the Iron Druid series by Kevin Hearne. I know I’ve told you before, but I’m going to keep bugging you about it. lol. Ooh a shaman. And I always like rune magic but don’t see it a lot. The alcoholism angle, and the fact that it has consequences, is nice. The shaman stuff was really cool! And idk why, but I like reading about alcoholic characters when it’s done well. Maybe because it’s not something I’ve ever experienced or known anyone to have experienced. I love alcoholic MCs too and I don’t really know why??? Maybe just cuz I like characters who are flawed and struggling. But anyway, yeah, you might like this! I’m not sure this is my thing but I do want to get back to reading more UF so I’ll keep it in mind. This totally sounds like a you kind of book. As soon as you said the MC has issues with alcoholism and made poor choices I was like yep, this is a good one. Even though you had a couple of issues it does sound like it was a really good read. I like the sound of Jonah, he sounds like the kind of MC I would actually really enjoy (poor choices and all). It does sound like a me kind of book, right?! You know me so well XD I mean, most books are not perfect, I could deal w/ the couple small issues and really liked this one! There’s something about unlikeable MCs in urban fantasy that just works so well for me! Jonah reminds me of Nava, the heroine of The Unlikeable Demon Hunter (subtle title, no?) who I ended up loving. Clearly I need to try reading this ASAP! It does seem that unlikeable MCs are a thing in UF, but it works! Sometimes at least. I hope you like this one! And I think I have Unlikeable Demon Hunter on my kindle, so I might give that one a read! I thought it was funny this review showed up as your last post on the comment you left on my review for a shaman book. I haven’t seen as many shaman books around, so it’s nice you read one too. That does sound great how the character is so unlikeable it made him likeable. i also like reading about flawed characters when done well. Sounds like the alcoholism topic is handled realistically too. The author sounds like she writes all those serious topics well. That’s too bad about the confusing ending, but I hope that will be cleared up in the next book. Great review! I do love me some flawed characters! And I was really happy about how the serious topics were handled. Yes, hopefully things will be explained more in the next book! I feel like Shamans come from specific cultural traditions… but I may be making that up, I don’t know. I feel like it’s part of some cultures too, which is why I didn’t really want to say if it was portrayed well, just that I liked it. You’re right, he does look kind of sassy! Man, you guys are too kind. Thank you. No problem about the review, and I’m glad it could get other people interested!